With all those hours spent decorating the home come a fair share of frustrations, though, from the nightly task of plugging the strands in because you can’t find a timer to the cord that’s too short to reach the outlet and the yearly search for the one burned out bulb, to the pleasure of your ladder falling away from the roof, leaving you deciding between risking a jump or calling your wife to ask her to come help you out of a less than impressive situation. 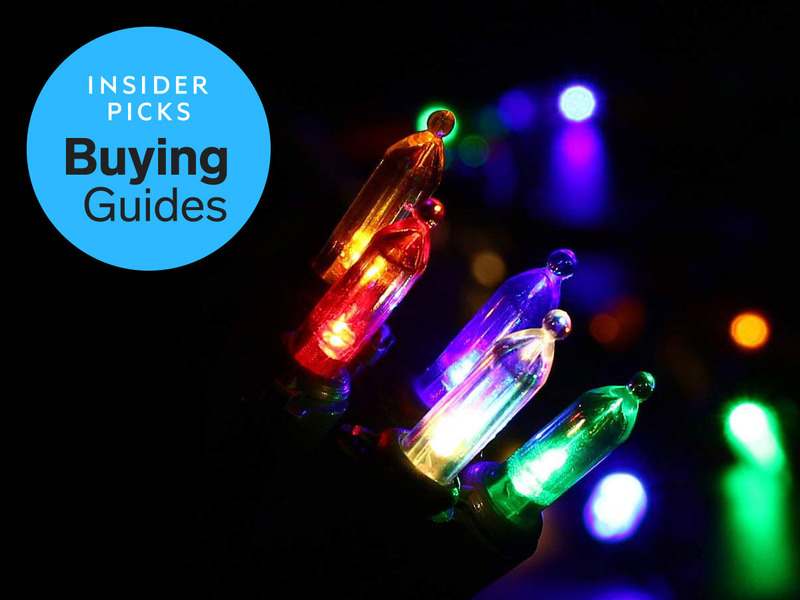 To that end, this year I’ve worked to assemble a buying guide filled primarily with holiday lights that not only look great, but that also make your life easier. Included with a couple of classic plug-in options, this guide features Christmas lights that get their power from batteries and that get power from the sun. We have lights controlled via a handheld remote and those that are beamed out of a projector. Like it or not, the holiday season comes with its fair share of stress, so let’s not make hanging the holiday lights one more source of it. Sure, those old strands of tiny incandescent bulbs you have tangled up in boxes on the garage shelves are probably fine … but these lights are definitely better. Upgrade your Christmas light game this season with these shining examples of great holiday lights. Updated on 11/07/2018 by Steven John: Replaced a few picks and added a permanent lighting solution. Updated prices and formatting. Why you’ll love them: The KooPower Waterproof Battery Fairy Lights are battery powered and operated via remote control, so once they’re in place, you can look forward to weeks of effortless enjoyment. The KooPower lights are powered by three AA batteries, and when only lit for a few hours each night, these three batteries will keep the lights aglow for days. With good quality batteries, the lights will shine for 60 hours before needing a change, so even if you left the lights on for four hours every night, that’s more than two weeks per set, or likely only one battery change per holiday season. And what’s more, you could set these lights up 100 miles from the nearest power outlet if you really wanted to. Sure, LED bulbs are bright, energy efficient, cool to the touch, and last for years. But you have to admit, there’s something so warm and comforting about classic incandescent bulb Christmas lights. Especially those oversized bulbs known “in the business” as C9 bulbs. The Good Tidings Ceramic Multi-Coloured Holiday Light Set comes with 25 big, colourful bulbs that shine with a light both bright and soft at once. They will light up your Christmas tree, they look great framing a window or doorway, and they’re hard to beat when strung across the roofline of the home, especially when a blanket of snow rests around them. The strand measures 24 feet long, a great length for an indoor tree though a bit short for use outdoors unless you’re willing to buy a few strands of the lights. They will last for years, though, albeit with an occasional bulb swap needed. Doing so is easy, though. It’s just like changing a standard light bulb. Why you’ll love it: Setting up a TOFU Laser Projector Light takes about five minutes, three of which involve getting the hardware out of its packaging. 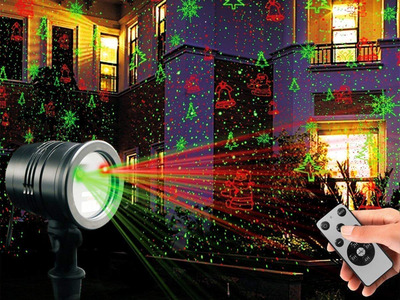 Holiday laser light decorations aren’t for everyone, I get that. But falling off of ladders, searching for that one burnt out bulb, and realising you don’t have a long enough extension cord to connect the light strands to the outlet? That stuff isn’t for everyone, either. And besides, some people find a gently swirling, twinkling display of red and green sparkles quite attractive. Plug it in, and then turn it on, that’s all there is to it. More or less, anyway. You might need to move the projector closer to or farther from the walls a few times as you work to find the perfect coverage. But it’s easy stuff overall. Don’t worry about rain, snow, or freezing temperatures, either – This little guy is waterproof and rated to work even when the mercury hits 22 degrees below zero. Also it’s safe to use in temperatures near 100º F, in case you happen to be in warmer climes this holiday season. You can also, by the way, set the coloured dots to slowly swirl about, or you can add decorative features like little Christmas trees or snowflakes, or bell icons. And here’s another idea: Aim the projector up into the trees for a truly dazzling effect, and stick with traditional lights on the house. Those two approaches together make for one fine holiday tableau. 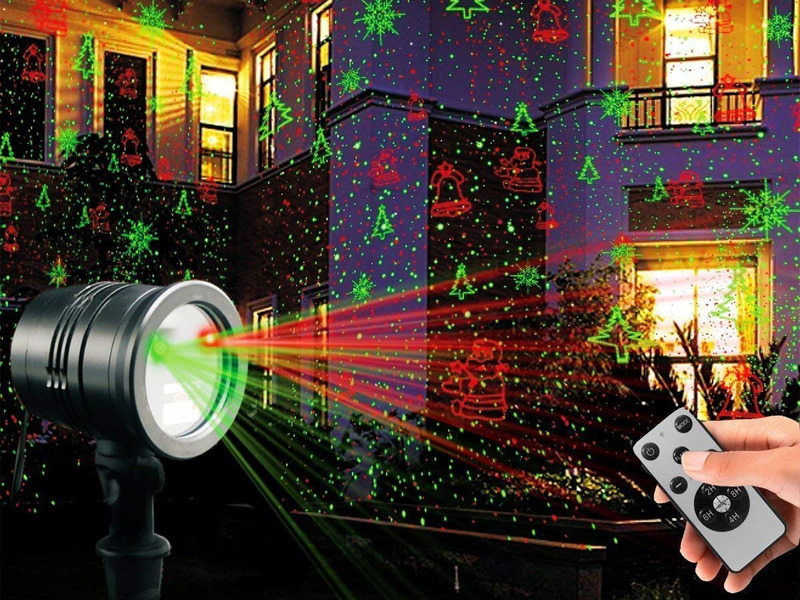 A write up with NYMag called the unit the “best Christmas light projector with patterned lights.” This is probably a good time for me to add that the TOFU Laser Projector Light has about the smallest price tag in its product category, too! 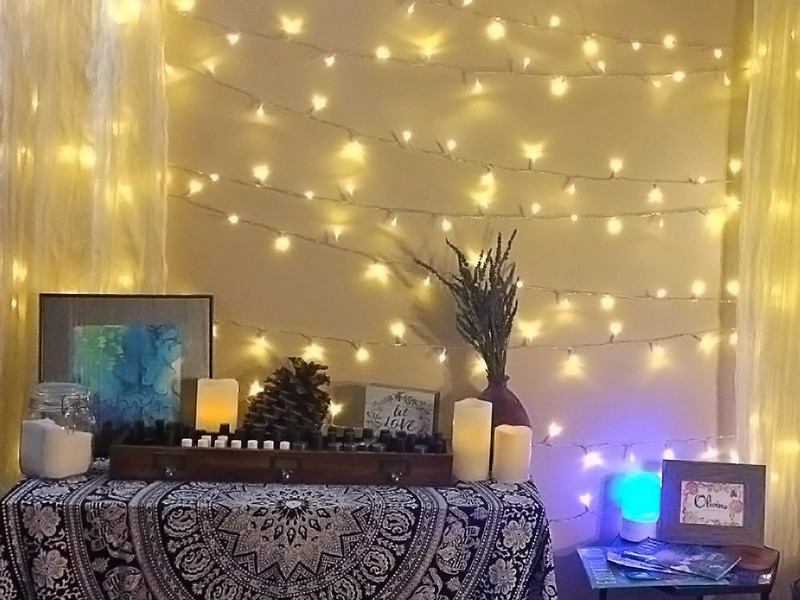 Why you’ll love them: Once you have your VMANOO Solar Powered String Lights set up where you want them, they are 100% hands off until it’s time to take the lights down again at the end of the holiday season. Once you have the VMANOO Solar Powered String Lights where you want them, you don’t have to think about these lights again until it’s time to put them away after the holidays. That is, except when you admire them or get compliments from others. Though to be honest, they will probably have dimmed or switched off entirely before that happens, as they have an approximate eight hour run time per charge. Don’t worry, though, that’s plenty long enough. Even with a dead of winter 4:30 p.m. sunset, the lights will still be aglow well after midnight. The one major drawback to these lights is that they’re hardly suitable for indoor use, as they need access to the sun to power up and need it to be dark in order to power on. Why you’ll love them: One 66-foot strand of Brizled LED Mini String Christmas Lights features 200 LEDs and should provide enough colourful bulbs to decorate an entire tree. As these LEDs are rated to last for 25,000 hours, you probably won’t have to replace the strand. Ever. Even if you leave your lights illuminated for a month straight every year, you can still expect about 35 years out of them. 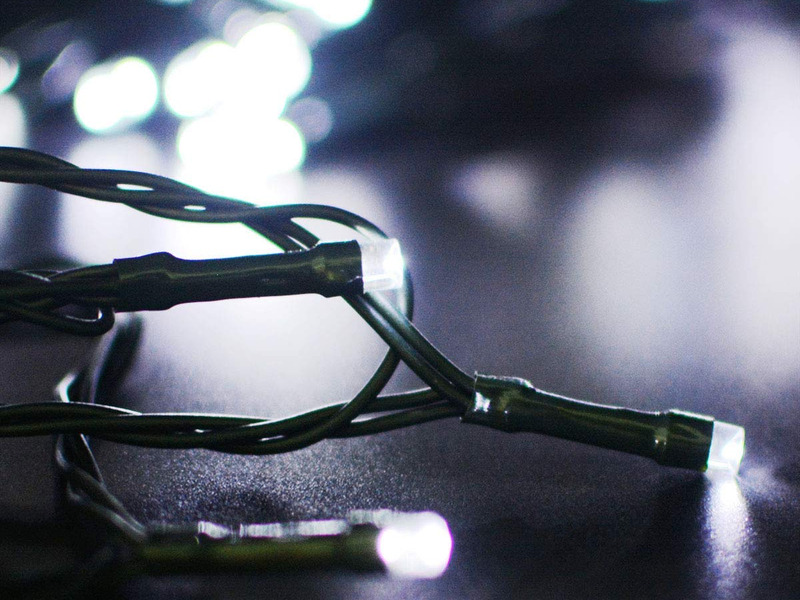 The best thing about the Brizled LED Mini String Christmas Lights isn’t their longevity, though, it’s their looks. 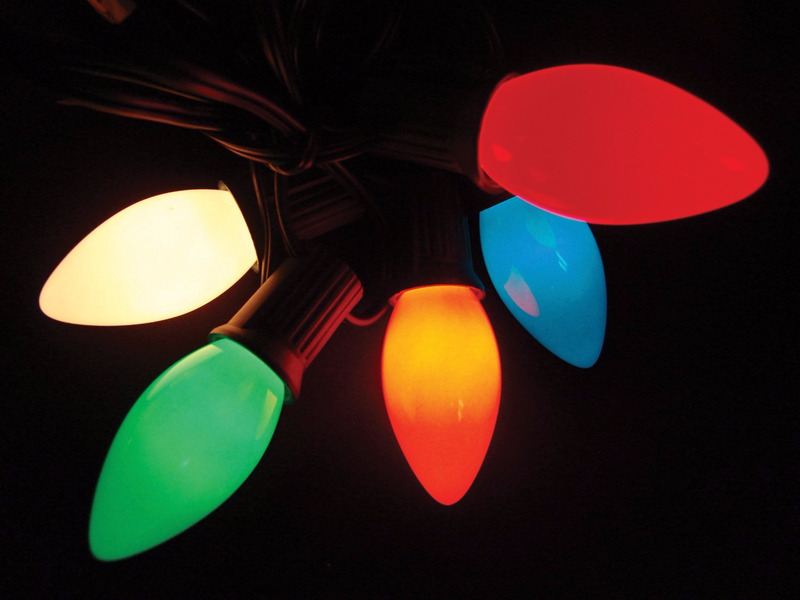 These bulbs approximate the same look as those beloved incandescent mini bulbs you’ll remember from holiday seasons past, yet they use about 88% less power than traditional lights and never get hot enough to pose a risk of injury or fire. 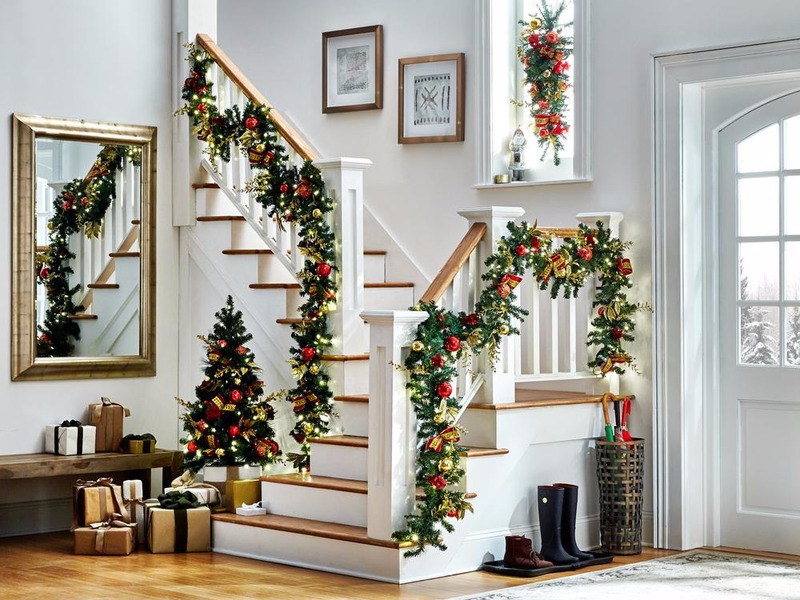 Why you’ll love them: Once you have affixed strands of EverLights to your home, you can enjoy holiday lighting year after year without the need to ever remove or replace the lights. EverLights are unique in many ways. First, there’s the fact that these lights are designed to last for years and years even when exposed to all four seasons and the weather that comes with them. Second, there are the myriad installation options that not only allow for perfect custom lighting design but also render them all but invisible by day. And third, there’s the fact that you can control them via an app, creating any number of intricate patterns of colour, fade or flicker, and that you can program the exact times of day they will be on or off. Now, the EverLights Starter Kit costs $US250, and that ain’t cheap. Also, that’s without lights included. The Starter Bundle will run you $US400 and comes with 25 feet of lighting, with additional 25-foot strands selling for $US150. All told, for an average roofline, you’re probably looking at spending $US700. 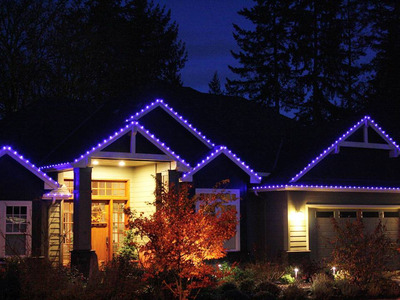 Which is steep, but spread that cost over the years and factor in the time saved each year, and you might just decide that permanent holiday lights are the way to go. 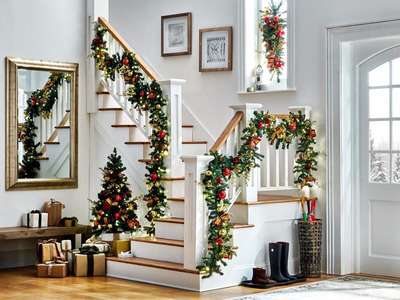 A beautifully decorated home is part of the wonder of the holiday season. We’ve rounded up the best decorating essentials for your home to make it easier for you. Artificial Christmas trees have come a long way since the ’80s, and now they look much more realistic and festive during the holiday season. 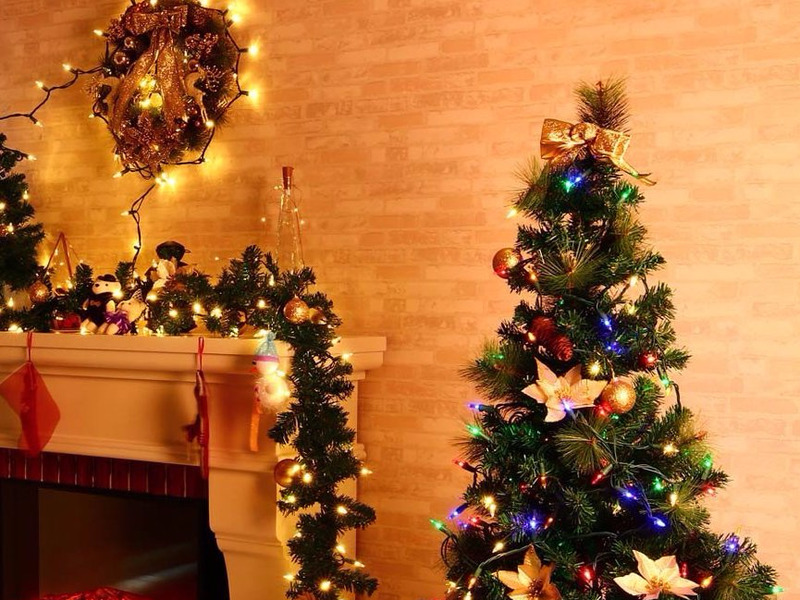 After researching scores of artificial trees that are available from $US15 to $US1,500 and assessing them for issues like cost, convenience, beauty, and realism, we’ve whittled it down to the five best artificial Christmas trees you can buy this holiday season. Tree skirts add a dash of colour and style to your holiday decor while hiding away that unsightly tree stand and all the Christmas light cords. Also, if you’re doing holiday gift shopping, you can check out all of our 2018 gift guides on Insider Picks.